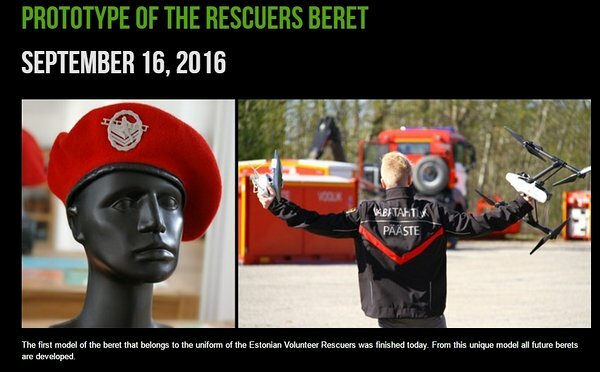 The first model of the beret that belongs to the uniform of the Estonian Volunteer Rescuers was finished today. From this unique model all future berets for the volunteers are developed. 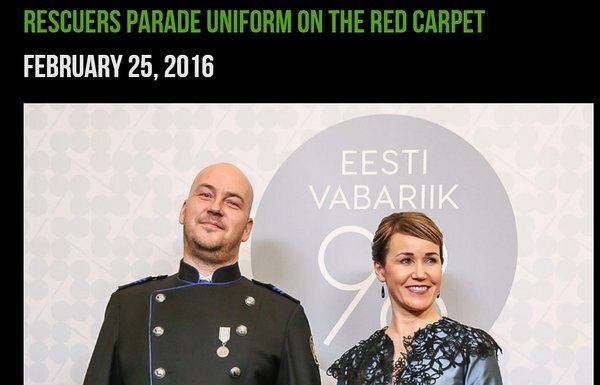 The beret's practicality has long made it an item of military and other uniform clothing. 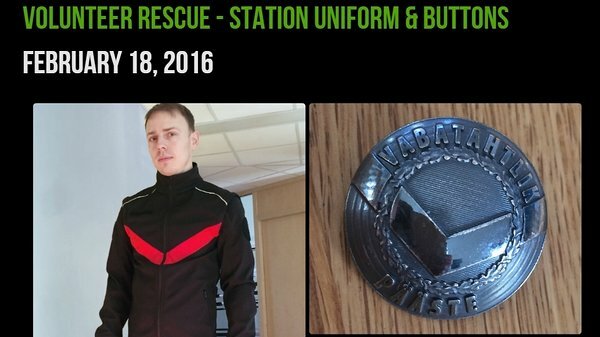 Rescuers beret fits snugly around the head, and it is worn pushed to one side. It features a sweatband attached to the wool, made from leather and a drawstring allowing the wearer to tighten the hat. Beret is made in two colors - red for the voluntary fire squads and blue for the sea rescue teams. Headgear is adorned with a golden or silver metal cap badge. The prototypes seen here are made from plastic using 3D printing technology. 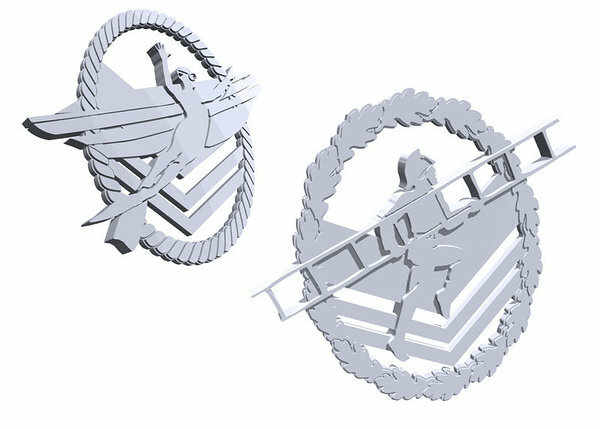 Both badges as well as the uniforms of the rescuers are embellished with an image of stylized "V" that stands for "volunteer". 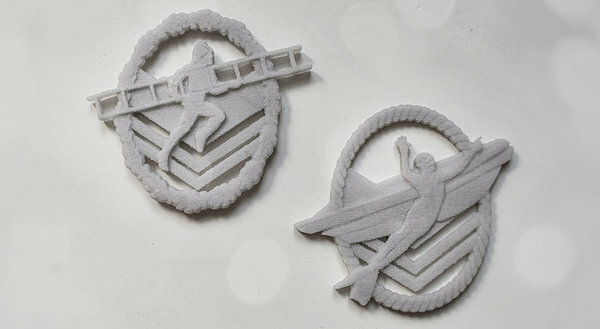 Sea rescuers have a stylized image of a diver next to a boat on their badges and fire squads a firefighter with the ladder as their central figure. 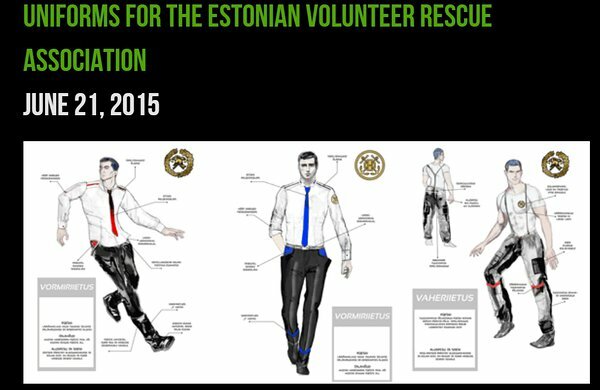 Estonian Volunteer Rescue Association is a non-profit organisation established in order to unite different voluntary rescue organisations and represent, execute and protect their interests. Today the Association has 96 member organisations, which represent 103 voluntary fire squads and 29 sea rescue teams. Through legal entities it unites more than 2000 people.